Karl Harkam | Chicago's Pipe, Cigar & Tobacco Store | Iwan Ries & Co.
Karl Harkam is a gifted, self-taught pipe carver from Austria. 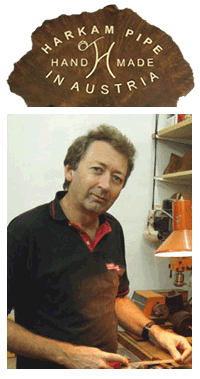 He began carving pipes in 2005, using the finest Italian briar. He makes between 20 to 25 pipes a year; each one is a rare treat.